Observers noted that the measures signed by Quinn do not adequately prepare for the actual amount of money scheduled to be paid in taxes to State general funds during this same period; the Quinn budget is based on current State revenues, sweeps of revenue in other dedicate funds, and cash flows. State revenues are currently healthy – the Commission on Government Forecasting and Accountability (CGFA) has tracked $36,718 million in general funds that came in throughout all 12 months of FY14, which ended June 30 – but the Quinn budget does not fully take account of the significant Illinois income tax rollback that is scheduled to take place on January 1, 2015. The Quinn/FY15 budget appropriates money for a “hidden” pay hike to State lawmakers in the General Assembly. The 4.6% pay hike was accomplished by quietly dropping language from previous years that had directed legislators to take a specified number of unpaid furlough days. Legislative Audit Commission prepares for key hearing on NRI scandal. The hearing, scheduled to open on Wednesday, July 16, is expected to hear from high-ranking Quinn administration officials who have been subpoenaed to answer questions under oath about what they knew concerning implementation of the troubled Neighborhood Recovery Initiative (NRI) program. The scandal-plagued NRI program distributed $54.5 million in Illinois taxpayer funds to Chicago with the proclaimed goal of developing street social capital and encouraging local residents to reduce levels of violent crime. State audit findings released in February 2014 showed that the implementing agency, the since-disbanded Illinois Violence Prevention Authority (IVPA), had not maintained minimally acceptable accountancy standards over the funds allocated to the program. These findings were soon followed up by reports that the monies had in fact been expended in ways that could be characterized as “walking-around money.” The program hit its spending peak immediately prior to the November 2010 general election in which Pat Quinn (D-Chicago) was elected to a full term as Governor. Representative David Reis and his Republican colleagues have taken the lead in calling for answers to the questions raised by this taxpayer-funded program. Law enforcement professionals in Cook County and the federal prosecutor’s office are also said to be making parallel inquiries. Representative Sheri Jesiel takes helm in 61st District. The Winthrop Harbor-based district in northern Lake County got a new State Representative on Wednesday, July 2, the day after incumbent lawmaker JoAnn Osmond completed her retirement. A member of the Illinois House since December 2002, Rep. Osmond was noted for her attention to transportation and education issues in Lake County and throughout the suburbs of Chicago. A member of the House Republican leadership team, Osmond was also a leader in the ongoing fight to increase the number of publicly accessible defibrillation devices throughout Illinois. A licensed accountant, Sheri Jesiel will join the growing caucus of House Republicans who are determined to make fiscal stability and long-term spending reform their top priorities. Concerned by evidence that Illinois budgets have been dysfunctional for many years, Jesiel is prepared to use her business experience to work to resolve Illinois’ fiscal crisis and boost economic growth throughout Illinois. She looks forward to running this November for a full term in the Illinois House. Her district includes much of Gurnee, Winthrop Harbor, Zion, and adjacent municipalities along Illinois’ border with Wisconsin. Partisan “election reform” bill signed. House Bill 105 became Public Act 98-691 on Tuesday, July 1. 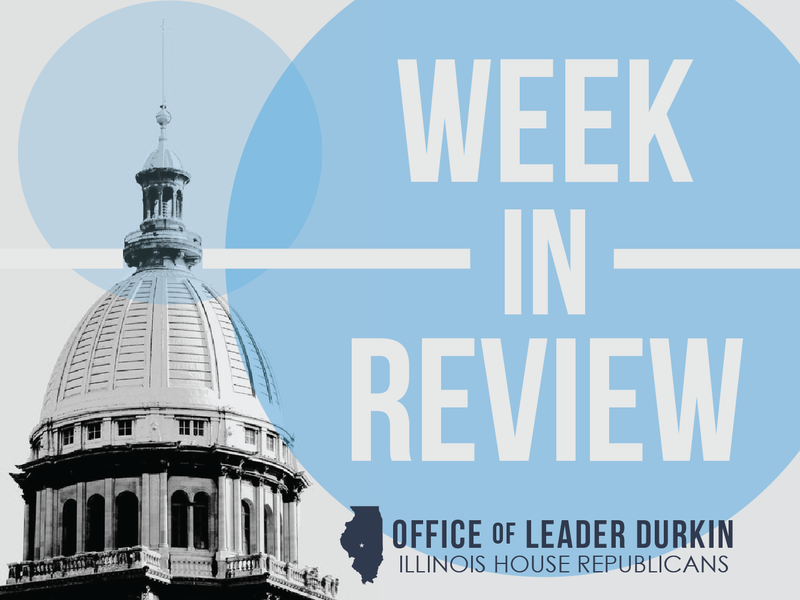 The omnibus bill, pushed by Democrat leadership, had been approved in the Illinois House by a partisan vote of 64-41-0, reflecting the Chicago-friendly nature of the election law changes included. The “same-day registration” changes included in the measure provide that during the 2014 general election, an unregistered qualified elector may register to vote, and a registered voter may submit a change of address form, in person at any permanent polling place for early voting through election day. The bill also suspends photo-identification requirements in Illinois polling places for the 2014 general election. Other facets of the bill include a mandate at all Illinois public universities that the local election authority provide a polling place at a “high-traffic” location on each campus for in-person absentee voting. House Bill 105 also contained language ordering election authorities to place an advisory referendum on the November 2014 Illinois general election ballot calling for an increase in the State minimum wage. New law supports installation of home solar panels. House Bill 2427 was signed into law on Monday, June 30 as Public Act 98-672. The new law directs that the Illinois Power Agency set aside $30 million in IPA non-taxpayer funds to buy photovoltaic (solar-power-generated) electricity. 50% of the photovoltaic power to be bought by this program will have to be purchased from devices that generate less than 25 kilowatts in nameplate capacity. Devices of this type include solar panels installed atop medium-sized structures used for housing, commercial purposes, and agricultural purposes. The Illinois Power Agency, created in 2007, “straddles” the boundaries between the public and private sectors. It was created for the proclaimed purpose of being a ‘utility’s utility’ that generates, aggregates, and resells electrical power to the firms that, in turn, resell it to individual and commercial Illinois customers in the present deregulated marketplace. The IPA does not directly sell electricity to individual customers. Gov. Quinn vetoes HB 3796. The Freedom of Information Act (FOIA), a longstanding State law governing the custody and dissemination of public-sector information, is based upon the principle that the work that is done by taxpayer-funded employees should be accessible to all. Interested parties have the right to file FOIA requests and the act of filing the request gives them legal standing to seek the information they request. Some municipalities and local governments report what they consider to be abuses by FOIA requestors who file what they call “voluminous” FOIA requests. For a wide variety of reasons, including pre-litigation negotiations, it may be in the interest of someone to establish standing by demanding access to truckloads of legal documentation. House Bill 3796, which was approved by the Illinois House by a vote of 77-36-1, defines “voluminous” FOIA requests and creates a procedure for public bodies to respond to these requests. The procedure includes a fee schedule that the public body would have been authorized to charge to cover the administrative burdens imposed upon them when they fulfill these requests. “Voluminous” requests are defined in various ways to cover paper and electronic records. For paper, a “voluminous” FOIA request is a request that asks for 500 or more pages of paper records. On Friday, June 27, Gov. Quinn totally vetoed HB 3796. His veto message struck a populist tone and asserted that he supports the relatively unfettered right of the public to information from public bodies. Supporters of the bill asked what recourse a municipal clerk or other employee in a small office would have when faced with a demand, backed up with the threat of legal action, for a truckload of documents. 77 bills signed into law so far in 2014. As of Wednesday, July 2, Gov. Quinn has signed 44 House bills and 33 Senate bills into law in 2014. Many of these bills made technical or cleanup changes to individual State laws. This count covers signings through Public Act 98-693. The “Week in Review” will continue to track 2014 bill signing action. The spring 2014 session bills have now all been enrolled and presented to the Governor, who is required by law to sign or veto all of the bills now on his desk no later than the final week of August 2014. Alternative phone-based application process unveiled. The Firearm Concealed Carry Act authorizes Illinois residents with a Firearm Owners’ Identification Card to obtain additional training and apply for a license to carry a concealed firearm in public. This 2013 law made Illinois the 50th and final state to authorize the concealed carrying of handguns. The Act directed the Illinois State Police to oversee the concealed carry license (CCL) application and licensure process. Implementation of the new law has been widespread and largely successful; the State Police has received more than 78,000 all-electronic applications, and more than 60,000 CCL licenses have been granted throughout the State. 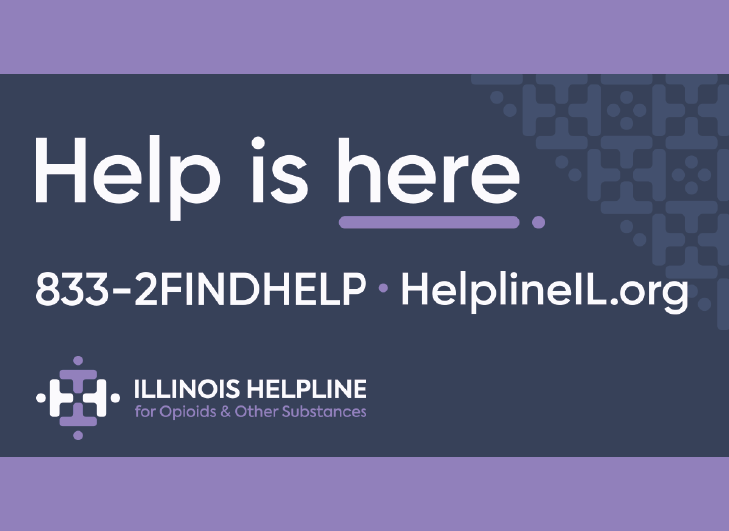 The all-electronic CCL application process has created concerns for some Illinois residents, including FOID cardholders in good standing, who lack day-to-day access to the electronic technology required to complete the application process. Not all Illinoisans have home computers or possess 24-hour Internet access. To provide an alternative, paper-based application pathway for persons in this group, the State Police on Monday, June 30, announced the opening of a CCL paper application, triggered through contacting the State Police by telephone hotline. Calling 217-782-7980 will connect the caller with a State Police Firearms Services Bureau (FSB) call taker, who will take dictation and assist the caller in filling out the application electronically through information transmitted by the caller by phone. After the application has been filled out and payment received, a draft application containing the information provided will be sent to the applicant by mail. The applicant must review the application, correct any problems, and attach a required photograph and proof of completion of required CCL training before re-mailing the draft to the State Police for final approval. The State Police encourages persons who can apply electronically for a CCL to continue to do so, and warns that the paper CCL application process will require more time for processing and approval than the electronic process. For more information, please visit www.ccl4illinois.com or call the Illinois State Police Firearms Services Customer Service Center at (217) 782-7980. New law will allow some specially trained psychologists to prescribe drugs from a limited formulary. The new law, SB 2187, allows psychologists to undergo additional training and apply for the right to collaborate with a physician to initiate prescription. Prescribing psychologists will be required to seek additional licensing powers, will be required to maintain a written collaborative agreement with a physician, and will be required to undergo additional continuing education. The new law will give these professional health providers mid-level practitioner status, which will be similar in some ways to the rights and responsibilities of physician assistants and nurse practitioners. These rights will be especially valuable in many Downstate communities where board-certified physician psychiatrists have long patient waiting lists. The House vote on the measure was 94-21-0, with some House members expressing concern about the State taking action to increase pathways for the dispensing of controlled substances that could reappear on Illinois streets. The Illinois State Medical Society fully negotiated this bill on behalf of licensed physicians and many House members voted “yes” for the bill to help it to pass. SB 2187 was signed into law as Public Act 98-668. Decision should protect specific groups of caregivers from State law that mandates they pay dues to labor unions. The United States Supreme Court decision in Harris v. Quinn, announced on Monday, June 30, was vindication for Pam Harris, a home-based provider of life care for her child. As the home care provider, she was granted help from Illinois through the Medicaid program. While a legal technicality prevented the Supreme Court from ruling directly on Harris’ own situation, the nation’s highest court fully upheld a key principle she raised: the lack of constitutional standing of labor lawyers to impose mandatory union-dues requirements on people working in private homes to take care of individual patients, including patients who are part of their own families. The Supreme Court finds, in Harris v. Quinn, that private homes are not union shops and that this requirement violates home care workers’ First Amendment rights. An estimated 20,000 Illinois families are affected by the precedent set by this high court ruling. “Racial profiling” study extended a third time. The bill extending the life of the study, HB 4442, was signed into law on Monday, June 30 as Public Act 98-686. The study requires law enforcement professionals to report a series of informational variables whenever they make a traffic stop, including the perceived race or ethnic identity of the driver of the detained vehicle. The purpose of this study is to identify, and if possible reduce, perceived racial disparities in traffic enforcement. This study, which commenced in 2003, was enacted on the basis of the data being collected for a discrete period of four years. When 2007 came, the original General Assembly sponsor of the program had gone on to other work in the public sector but a new set of proponents asked that the law be extended. The second extension is scheduled to expire in July 2015 and supporters of the study requested the enactment of a third extension. In line with this request, P.A. 98-686 extends the life of the study from July 2015 (the former expiration date) to July 2019. Data collected from earlier years of the study became available starting in 2005, and has been used as a basis for significant scholarly publications in criminology and police behavior. Representatives of law enforcement professionals asked the House to carefully consider this extension move, noting that many beat assignments take place in locations where most of the drivers (both those who are stopped and those who are not) are going to be members of scrutinized ethnic categories. These factors render questionable the future value of continued statistical data from the program. 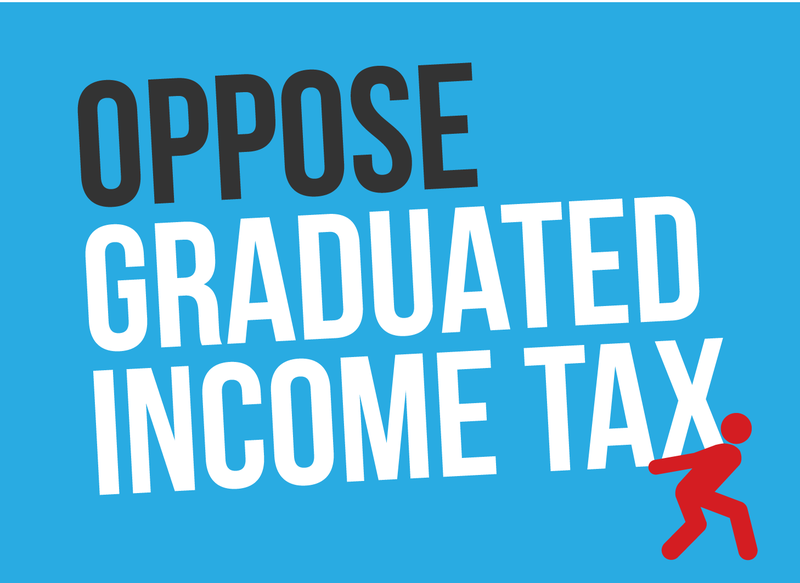 The spring 2014 Illinois House vote to support the extension of the program was 69-45-0. New law affects school policies regarding bullying. House Bill 5707, signed into law as Public Act 98-669, requires Illinois public and private schools, including charter schools, to develop annually-updated policies to fight back against school bullying. The school programs, which will have to be reexamined and revised annually, will include a pipeline within each school to report bullying incidents to affected parents. New law opens door for possible expansion of State Capitol Complex in Springfield. Public Act 98-692, passed by the General Assembly as SB 3443, was signed into law on Tuesday, July 1; centering on “Budgeting for Results” language to enact noncontroversial changes to law meant to streamline and update the operations of offices of the administrative and legislative branches of government. One subsection of the “Budgeting for Results” bill drew some comment. The current Capitol Complex includes physically obsolete buildings. Buildings in this category include the widely visited State Museum and include office structures used by the Illinois public to contact their lawmakers and do business with the Secretary of State. P.A. 98-692, which includes many cleanup changes to General Assembly governance and the operations of the State, places the entire Capitol Complex (except court buildings) under the overall supervisory authority of the Architect of the Capitol. Funds are currently not available for Capitol Complex projects of this type; however, this move could open the door to the start of long-term planning for the repair, renovation, reconstruction, or new construction of one or more buildings of the Capitol Complex. The “Week in Review” is available by email! Sign up today to keep track of major events and trends. As bills move to the Governor’s desk for signature or veto, Week in Review will track their final actions. Subscribers will also get a first-hand look at the continuing challenges facing lawmakers in Springfield, and what our House Republican leadership team and Caucus members are doing about these challenges.